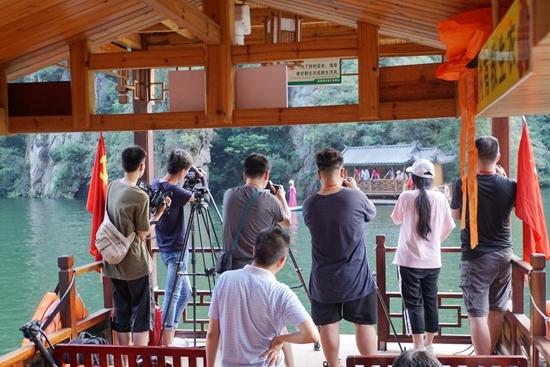 On July 19, 2018, the film crew of Hunan TV Station “Chinese Bridge” led the 17th World University students who were promoted to the top 15 in the world to complete a four-day cultural study tour in Zhangjiajie. “Chinese Bridge” was born in 2002 and officially settled in Hunan in 2008. It has become an important platform for college students from all over the world to learn Chinese, Enter into Hunan, and understand China. The “Chinese Bridge” came to Zhangjiajie Wulingyuan to film the excitement of the cultural experience of foreign players. Hunan Satellite TV will be broadcast in prime time in early August.